I have long held the belief that in most situations, circumstances, and services, when given the opportunity, people will rise and step up to help others. I am interested in a new idea that is receiving praise from both sides of the political spectrum. This new idea, would enact legislation that would allow Idahoans to direct up to $500 from their income tax to qualified charities with the goal of getting money into the hands of private organizations able to take on public services rather than throwing money at bloated state bureaucracies. 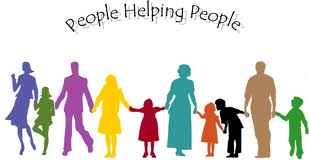 The goal is to improve the quality of public services & make better use of our collective resources by giving citizens the choice to direct an amount of their taxes via the Universal Charitable Tax Credit (UCC) to nonprofit organizations that provide vital public services in their local communities, because in most situations, circumstances, and service, when given the opportunity, we the people “Do Better”. I am excited to work with We Do Better, and to think outside the box on how to help and strengthen our communities without the need for more governmental dependence and involvement. By giving private charities and other organizations the opportunity to receive, and giving tax payers the opportunity to choose and give, this creates a great start to a free-market, private sector solution of people helping people in our great state!